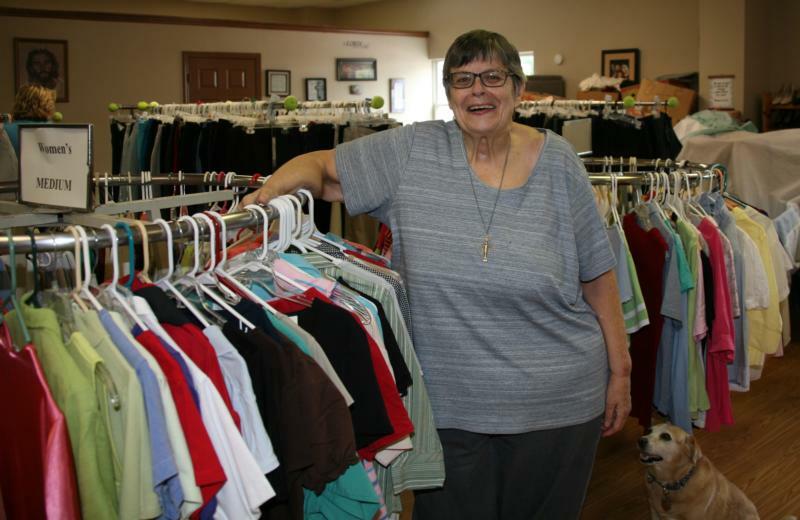 KERMIT, W.Va. (CNS) — On a rainy July afternoon in Kermit, a local woman sifted through a table of donated apparel at Christian Help Inc.’s free clothing store. The outreach center was full that day and she was among many seeking help. “The economy is so poor here it’s hard for people to even clothe their children and grandchildren. There’s no work, there’s really no recreation here, there’s nothing,” she said as the blaring horn of a passing train outside muffled her words. She wished to remain anonymous but wanted to express how bad things are in the town located in Mingo County. “You can’t just say, ‘Well go out and get a job.’ First of all, you have to be able to get there and there has to be an employer.” In Kermit, other than the public elementary school, the store is the next largest employer with eight employees — four part-time and four full-time workers. “We’re a nondenominational Christian emergency assistance agency, helping some of the poorest of folks in America,” she said. “We have lots of grandparents raising their grandchildren, because of death or incarceration of the parents,” she said. “If social services remove the children from a home, they literally hand the child to the family members taking them, often with no supplies provided.” Because of this, she said, Christian Help is in need of basic baby supplies. “We have about four drivers on the road Monday through Friday,” Sister Therese said. Editor’s Note: Christian Help depends solely on donations and grants. To send a check or a box of donations, the regular U.S. Postal Service address is: Christian Help, Inc., PO Box 1257, Kermit, WV 25674. When using UPS, Fed Ex, DHL or any other delivery service, the address is: Christian Help, Inc., Virginia and Lincoln Streets, Kermit, WV 25674.